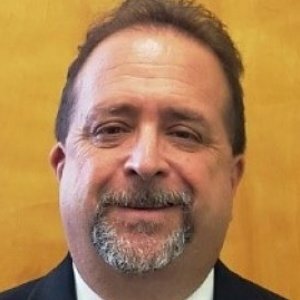 Eric Anderson is an architect and educator with more than 30 years in educational and non-profit facilities planning and management. He has overseen the planning and/or construction of more than $ 1 billion of capital improvement for non-profit and educational institutions in New Mexico, West Virginia, Nevada, and New York. He is a registered architect in New York and West Virginia. Professional memberships include the American Institute of Architects and the American Society of Engineering Education. Teaching experiences includes graduate design studios at the UNLV School of Architecture from 1997-2000, and adjunct assistant professor of Architecture at Farmingdale State College from 2006-2017, teaching Architectural Design III and Architectural Design IV. He currently serves as assistant professor of Architecture and Construction Management, teaching Architectural Design III, Architectural Design IV, and several courses in Construction Management, including Materials and Methods, Quantity Surveying and Estimating, and the CM Capstone course. Award, Housing Competition, Canterbury Heights, Inc.; Senior Citizen Housing, Carlsbad, NM. Pro Ecclesia et Pontifice Medal from His Holiness the Pope, conferred by the Bishop of Rockville Centre. Contributor: Areas of focus include alternative energy, alternative construction, architectural design, storm water management, green roofs and green walls, HVAC/energy management, electrical engineering, and testing of "low-emitting" building materials with regard to air quality and industrial hygiene. Consultant: Developed architectural programming, master plan and infrastructure coordination, and National Environmental Policy Act assessment for a 55,000 square foot building serving the National Research Center for Coal and Energy. The building’s dedication functions included technology research and transfer, conference activities, and administrative facilities. 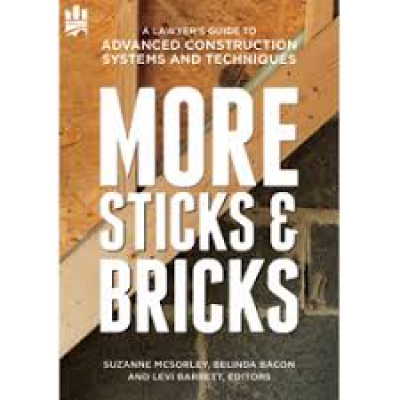 More Sticks and Bricks, contributing author – Chapter 4 Plan Reading, American Bar Association Forum on Construction Law, June 2018. Various Articles - Facilities and Risk Management Newsletter for Diocese of Rockville Centre, 2003- 2017. Internal communication to parish pastors and business managers on facilities maintenance, planning and operations. Article: Videotaping Interviews for Selection of Project Consultants. Educational Facility Planner, Vol.28 - 5, PP 16-17, 1990. Emphasis is placed on the context and constraints of urban and natural environment. The role of aesthetics, symbols, and historical elements in the making of places, spaces and communicating meaning are explored. Emphasis is placed on master planning and residential project(s) that integrate principles of architectural design/planning, and includes elements of building systems, structural and site design, zoning and building codes, etc. on an actual site in the area. The role of physical and regulatory constraints in the making of places and buildings are explored. Emphasis is placed on architectural programming and non-residential project(s) that integrate principles of architectural design/planning, and includes elements of building systems, structural and site design, zoning and building codes, etc. on an actual site in the area. Studies architectural properties of selected materials, methods of construction, and building components in both courses. Class work includes technical problem solving using quantitative and graphic analysis of specific building construction systems. Studies the fundamentals of quantity survey and costing of residential and commercial facilities. Quantification of materials from construction drawings is covered in this course. Topics also covered range from site work, forms, concrete, metals and masonry, plumbing and electrical to wood framing and steel framing. The course also introduces fundamentals of computer assisted estimating using spreadsheets. The capstone course utilizes skills and knowledge acquired in various courses in the curriculum and general education courses to produce a real-life project. Students follow a faculty-driven structured process to integrate various components of a project. This course introduces very little new material, rather it helps the student to synthesize skills and knowledge learned in other courses to apply in real-life situations. This course covers current homebuilding systems in the United States from design to construction. It includes an overview of the homebuilding industry, housing demand, management of the homebuilding process, the regulatory environment, housing design guidelines, development of contract documents, and the residential construction process. It also covers structural, mechanical, electrical, and plumbing systems.